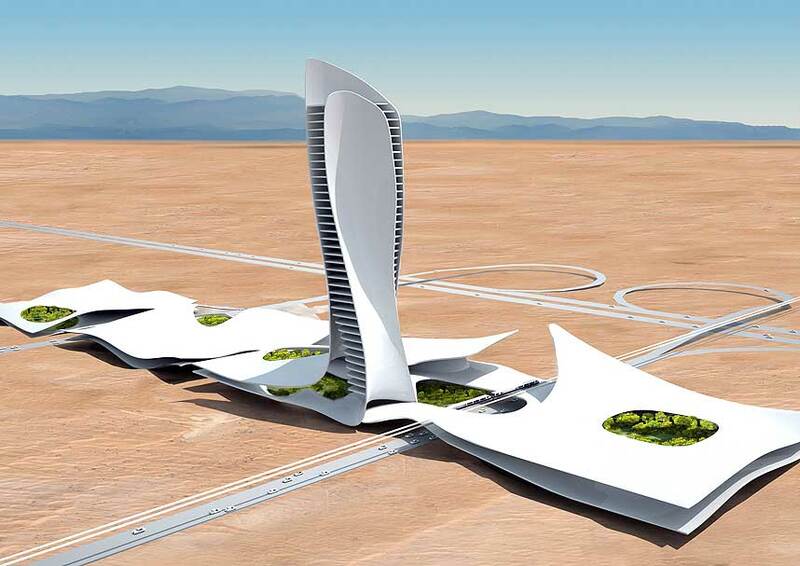 Sheik Saud and Rakeen of Ras Al-Khaimah has appointed Snøhetta the prestigious task of creating an iconic gateway building for the new capital city of Ras Al-Khaimah in the United Arab Emirates. The approx. 300,000 m2 complex will contain a Congress Center, Exhibition Halls, Shopping Center, 5+ Star Hotel, 5 Star Hotel, and a 4 Star Hotel.